The burger. That slice of Americana that can be eaten anytime of the day, and anytime of the year. It’s pretty hard to find a person that doesn’t enjoy a nice, juicy burger. It’s one of those comfort foods that not many Americans can live without, and rightfully so. It’s super easy to make, and you can pair the burger with anything. You can have it solo, or with cheese. You can add onions, bacon, or whatever your heart desires. That’s what makes the burger such a perfect food item, and why in Orlando, great burger places are on every corner. 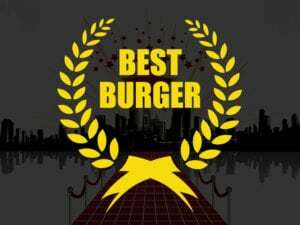 There are too many great burger restaurants in Orlando, so let’s narrow it down to the top three best burger joints in Orlando. With these three, you will be in burger heaven!